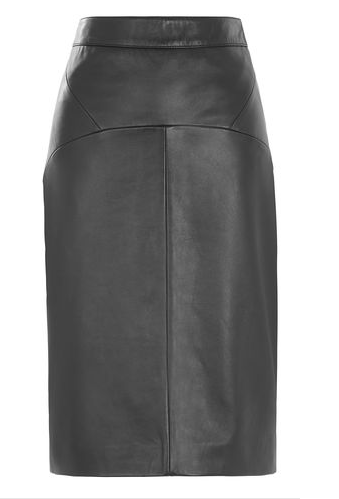 I LOVE this gorgeous check skirt from Zara with the oversized waistband. I think this would look spectacular worn with a midnight blue satin shirt and a pair of court shoes for work. Equally good with a jumper and ankle boots for the weekend or more relaxed work environments. Where have you been if you haven't noticed the still-going-strong trend for pleated midi skirts? 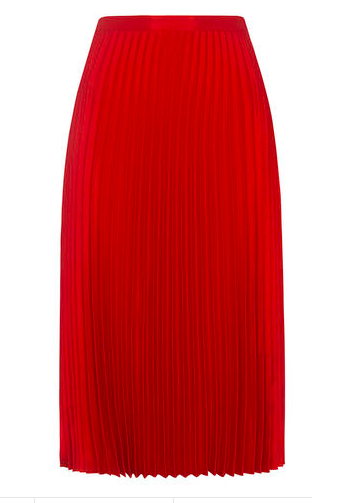 Very wearable and glam, these again are good for work and weekends and this cheery red satin one from Whistles is beautiful! I'd wear with a bretton stripe jumper on top and ankle boots. This shape is flattering on lots of bodies because of it's loose, soft style. Because it's super feminine with the chiffon and ruffles i'd wear this with chunky flat boots or heeled ankle boots - thinking about it I really like the idea of stiletto or sock boots with this kind of skirt and a jumper to give it a bit of edge. Would not wear this kind of girly style with court shoes 'cos it would look frumpy and NO-ONE wants that!! :). And this brings me on to the leather pencil skirt. Now those who know me and read this blog or who have shopped with me before will know I have been banging on about the leather skirt as a wardrobe staple for YEARS. As this is still very much in the shops and one of the most wearable items in my own and my client's wardrobe's, it just goes to show I was right!!! I love being right :). Could this piece be a stone cold classic for the modern woman? I'm sitting typing this blog in my beloved Whistles leather skirt because I'm going out for drinks later and I always feel like I've made an effort in it. Finally from leather to leopard print. I've got barmaid chic nailed! Couldn't be further from Bet Lynch at the Rovers Return though, this Ganni skirt is super cool and would look awesome with black boots and a black roll neck. If you need help with your wardrobe because you're too busy or need some fresh ideas get in touch with Lisa to discuss how she can help.